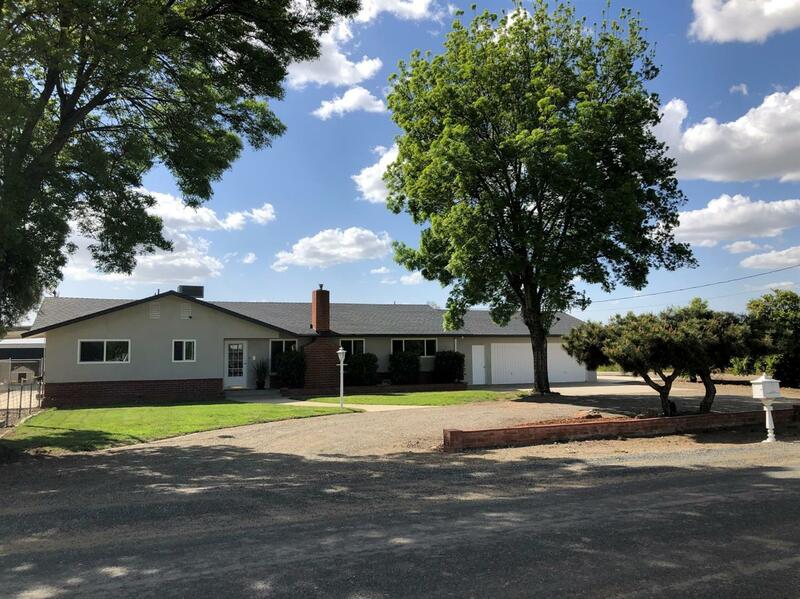 Beautifully maintained country property perfectly situated on 1.17 acres surrounded by enjoyable foothill views. Pride of ownership is immediately evident. Included are these amenities: abundant storage, generously sized 2 car garage with attached work area, spacious laundry room/ bonus room, cement walkways providing comfortable walking throughout the area and the energy savings of solar. Recent upgrades also include 61-gallon hot water heater, new stucco, paint and flooring. The property is fenced and cross fenced with two new large covered car ports, one of which has a solid concrete foundation. The property boasts delicious apple, nectarine and orange trees. Electricity and water set in areas of easy access for required needs.